The browse and leaves of Clerodendron trichotomum Thunb. of family Verbeneceae. Jiangsu, Anhui and Zhejiang provinces, etc. Collected before blossom in summer. Off-flavor in smell and bitter, astringent in taste. 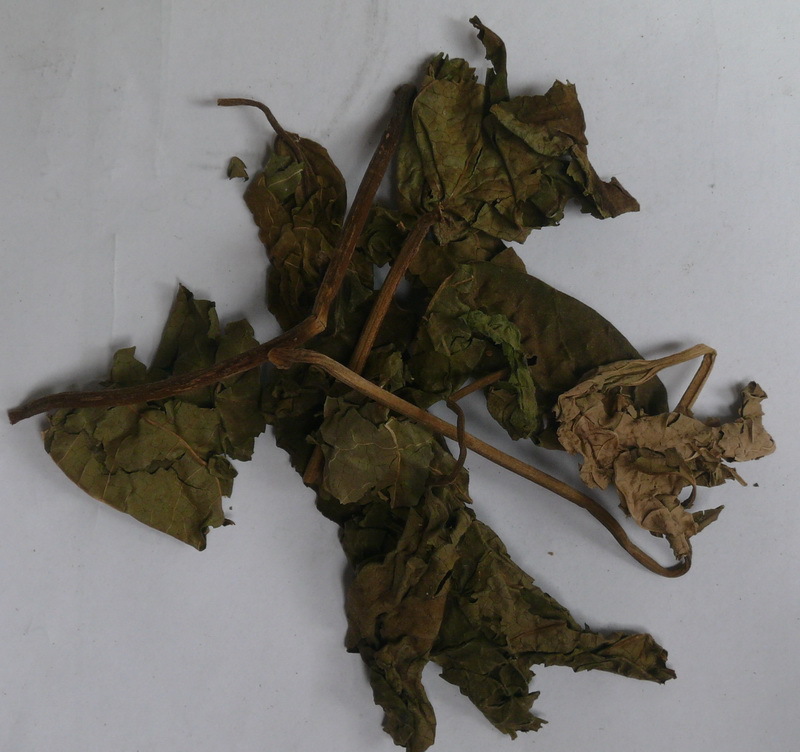 Dry flowering wood with green leaves, off-flavor and no impurities. Pungent, bitter, slightly cold, liver meridians entered. Dispel wind-damp, unblock collaterals, pacify liver. Being pungent and bitter with the actions of dispersing and dryness, it can dispel wind-damp and unblock collaterals. For arthralgia syndrome due to wind and dampness manifested by numbness of four extremities no matter which pathogen is predominant such as cold or heat, it can be used singly or combined with other antirheumatics, for example, Xi Xian Cao, as in Xi Tong Wan from Ji Shi Yang Sheng Jing Yan ji (Experiential Collection of Life Aid and Health Preservation). It can unblock collaterals and is commonly indicated for hemiplegia due to windstroke. Its property of pungent can disperse wind, dryness can remove dampness and cold can clear heat. For rubella, pruritus and eczema caused by wind-heat and damp-heat, it can be used singly in ways of washing or topical compressing. Being cool in nature and entering liver meridian, it can cool and pacify liver. For liver yang hyperactivity, headache and dizziness, it can be used alone or combined with Xi Xian Cao, Gou Teng, Ju Hua, and Xia Ku Cao. It is commonly used in treating hypertension at present. Decoct 5~15 g; or pound into powder, 3 g for each time. Proper dosage is for topical administration. It should be decocted for a short time when treating hypertension.